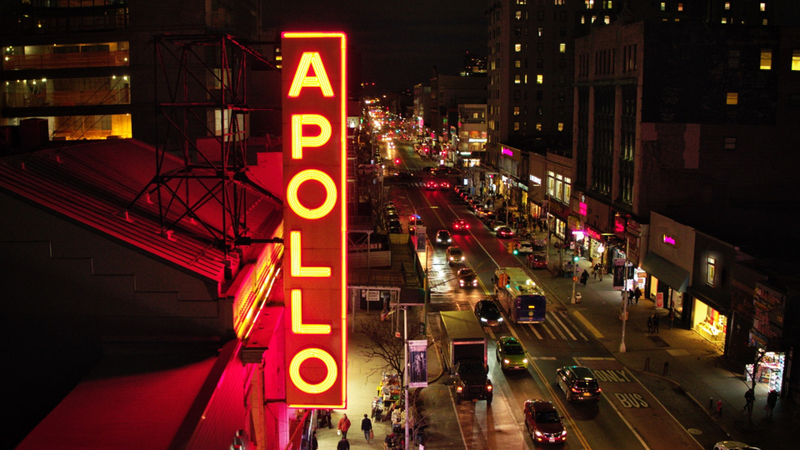 Harlem’s Apollo Theater is a sacred space, a vibrant institution that has been at the center of the African American cultural experience for over a century. In his dynamic portrait of the Apollo, Academy Award® winning director Roger Ross Williams (LIFE, ANIMATED) brings the theater’s incredible history to life with live performances, archival footage, and contemporary interviews that explore the institution’s legacy and continuing importance as an arts institution, highlighted by a behind the scenes look at the process of creating a theatrical presentation of Ta-Nehisi Coates’ Between the World and Me. THE APOLLO is an act of love and preservation, a must-see for music fans, and a vital reminder of the power of the arts to give voice to the concerns of our times. Q&A with director Roger Ross Williams and producer Julie Goldman to follow. This screening is co-presented by William H. Connolly & Co.